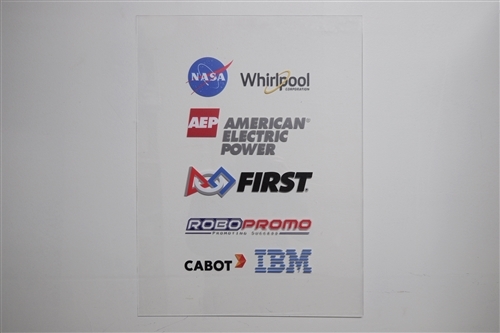 The Robo Promo Sponsor Panel comes on a 12x18" sheet of clear, 1/8" thick polycarbonate, printed with a UV printer, giving a permanent adherence to the material. This is great for HD multicolor sponsor logos and custom team logos. Logos will be printed on a 10x16" area, with the whole sheet measuring 12x18". Please send the layout of your logos on a 10x16" area, with all the desired artwork to art@robopromo.com with your order number included in the email. All images must be high quality to ensure a clear image print. We accept images in .psd, .jpeg and .png only.